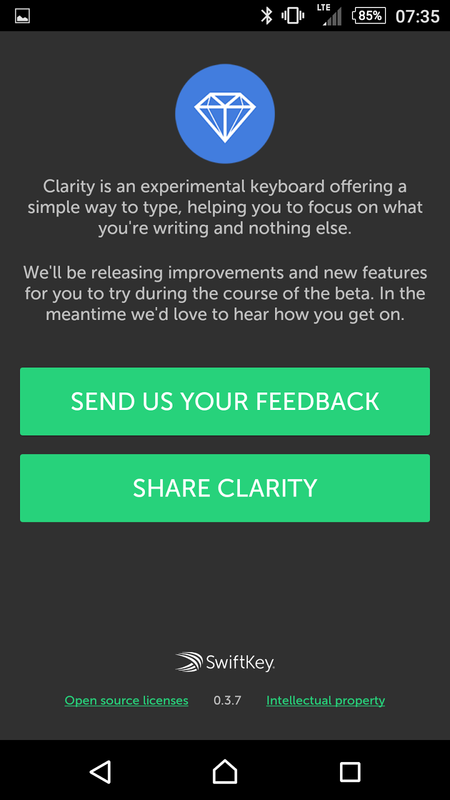 clarity clarity keyboard Keyboard SwiftKey Swiftkey Clarity keyboard aims to fix your entire phrase! Swiftkey Clarity keyboard aims to fix your entire phrase! The goal is to correct your entire phrase! Pretty tall order no? This is exactly what Clarity aims to do and it's doing a pretty darn good job. 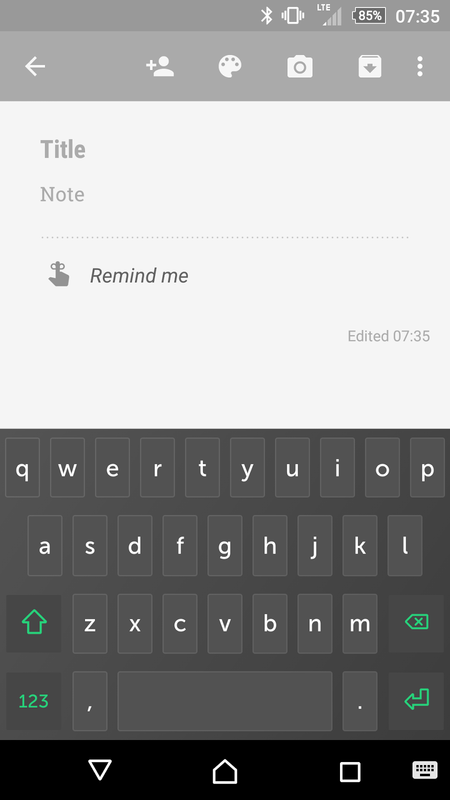 From the creators of Swiftkey, comes a new product and it sure is bare bones. Don't let that scare you off by any means, it's pretty powerful. The developers are hard at work, you can see it from the numerous updates you can get in a day. At this stage in the game, the app offers no options, settings or features of any kind. Hopefully this will change in the near future. I'm definitely missing my swiping ability and if this was combined with the current keyboard, I think it would be pretty epic. This keyboard is really aimed at the rapid typist with 2 finger typing, fire away, type and let it just simply correct your words, mind you, sometimes, it definitely doesn't get what you're typing.